When the Vanderbilt Commodores upset the Tennessee Volunteers two years ago on this very weekend, I wrote that it was the start of a new era of success for Vanderbilt Football. It took a little bit longer than expected, but on a crisp Fall afternoon on West End, Vanderbilt once again showed that it is a program to be reckoned with thanks to a 38-13 drubbing of Tennessee. The Commodores are going bowling for the second time in three seasons, and have beaten Tennessee in three consecutive seasons for the first time since 1923-26. That’s right: the last time Vanderbilt beat Tennessee this many times in a row, Great Gatsby parties were just parties. In addition, James Franklin and Derek Mason now stand alone as the only coaches in Vanderbilt history to make it to two bowl games in a three-season span. Forget Kalija Lipscomb’s fourth-down drop at Notre Dame. Forget the windy conditions at Kentucky. Forget the goal line blunder at Mizzou. None of that matters anymore. Vanderbilt is going bowling. When running back Ke’Shawn Vaughn and wide receiver Kalija Lipscomb both went down with injuries, some might have been ready to hit the panic button, even though Vanderbilt was in the lead. Among those who decided not to panic were running back Khari Blasingame and wide receiver Amir Abdur-Rahman. In Vaughn’s absence, the senior Blasingame became the lead back and proceeded to smash his way through the Tennessee defense. He ran for 70 yards and one touchdown and had another 62 receiving yards, primarily on crafty screen plays. Meanwhile, Abdur-Rahman saw his role increase while Lipscomb was playing at half-speed. 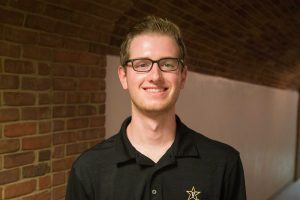 He came into this game with just one catch in his young career, and left this game with one of the best catches in Vanderbilt history to help put the game out of reach in the second half. Amir Abdur-Rahman chose a great time to haul his first collegiate TD catch. One of the top modern coaching clichés is that teams have to have a “next man up” mentality when a starting player gets injured. On Saturday afternoon, the cliché became reality. Another Vanderbilt team might have stumbled and fell without some of its top playmakers at 100% capacity. Once and for all, let’s dispel with this fiction that Vanderbilt and Tennessee are not real rivals. It is true that Tennessee won each matchup between 1983 and 2004. It is also true that Tennessee leads the all-time series by a lot. However, it’s also true that this is the first time Vanderbilt has won three straight against Tennessee since Calvin Coolidge was in the White House, The Great Gatsby was just a year old and NBC was an upstart company hitting the radio airwaves. No matter what happened in the past, this is a rivalry right now. These two teams do not like each other, and tempers flared at times during this game. And as Vanderbilt continues to win like this, the Volunteers will continue to buy into the rivalry. Beyond all the nitpicking about who has more fans, who is winning the season series and whose fanbase works for the other lies a true rivalry based on proximity and mutual hatred. This rivalry is competitive, loud, raucous and fun. It’s a rivalry in every sense of the word. After Vanderbilt went into South Bend earlier this season and nearly came away with an upset win over Notre Dame, the ceiling looked extremely high for the Commodores with a progressively easier schedule. However, the results beyond that game did not bear that out. Close loss after close loss piled up, and it seemed like this team just didn’t have what it takes to win. In some games. the offense would be consistent, but the defense couldn’t get off the field. The defense looked good in other games, but the offense couldn’t get out of its own way. As they did in 2016, the Commodores found a way to finally put it all together and get the wins needed to get to a bowl game. The offense was firing on all cylinders. The defense minimized mistakes, forced turnovers and got off the field on third down. The team got plays from its leaders, such as quarterback Kyle Shurmur, and unsung heroes like Abdur-Rahman and cornerback Alim Muhammad, who had a couple of key plays in the secondary on defense. This was a complete team win, and it could not have come at a better time. Now, the Commodores have another month to get rested, healthy and prepared to play on a national stage in a bowl game. Whether it’s in Birmingham or Jacksonville or Memphis, Vanderbilt will have a golden opportunity to cap off a memorable season with a postseason victory. 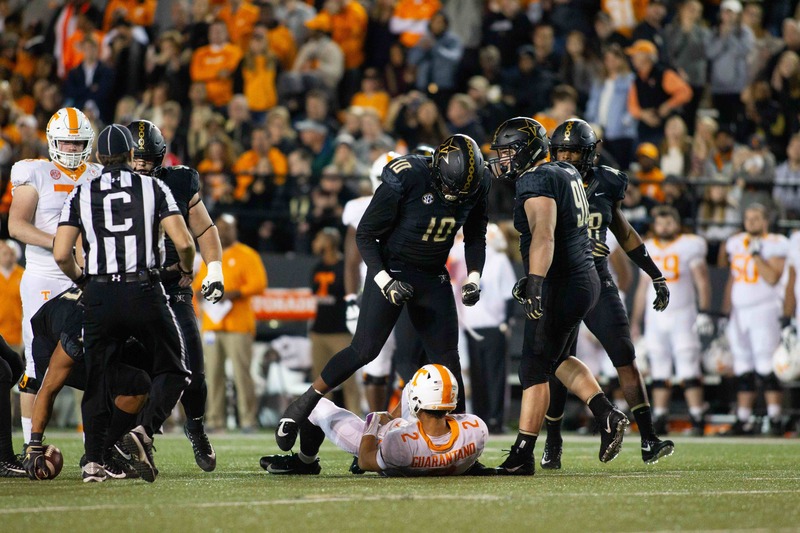 Saturday’s decisive victory came because Vanderbilt learned from its mistakes, improved week after week and finally found a way to put in a complete 60-minute effort. The entire season might not have been pretty, but when it mattered most, Vanderbilt’s players and coaches stepped up to the plate and delivered. Happy bowl season, Commodore fans. Get ready for a fun ride.